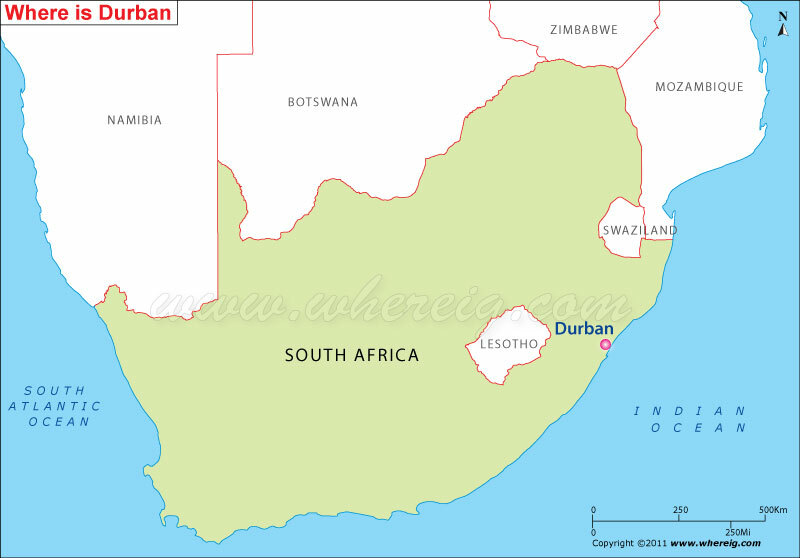 As shown in the given Durban location map that Durban is located at the coast of Indian Ocean in the north-east region of South Africa. The city is more commonly known for its sea port because the sea-port of Durban is the busiest port in South Africa. Interestingly, the city has subtropical climate and huge tantalizing beaches that attract tourists from all over the world. So, the subtropical mild climate of the city, warm oceanic current, and culturally diverse population additionally promote tourism in the city. The coastal location and large sea-port facilitate it comparatively big advantage over many other centers of South Africa; hence, it is the ideal center for export-related industries. Moreover, Durban Metropolitan Area (DMA) has a large and diversified economy along with strong government, manufacturing, tourism, transportation, finance, and sectors.